Councils across Wales need to work together more in return for remaining as 22 separate authorities, the finance secretary has warned. 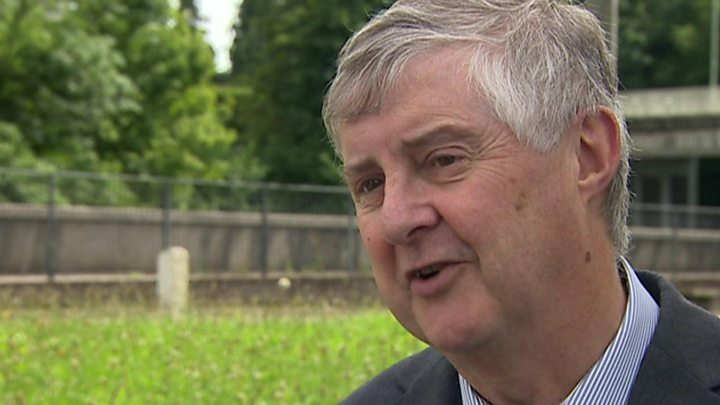 Mark Drakeford said councils needed to put greater urgency into pooling back-office functions like wages, council tax administration and legal services. Joint working will form part of a local government bill next year. A consultation on reforming council elections could also see 16-year-olds given the vote by the Welsh Government. On Tuesday, Mr Drakeford is setting out plans for councils in three regions, based around Cardiff, Swansea and north Wales, to work together in areas like economic development, strategic planning and transport. He said there had been reluctance among councils to share back-office services and called for more energy in reform so the public receives a more efficient service. "There is a bargain here. I am persuaded that keeping the 22 local authorities as the front door that people walk through and where they elect their local councillors, so they know who is accountable for these services. I think that case is made," he said. "But behind that front door, we need local authorities more committed to working together, to working across boundaries, to sharing services, to doing things in a collaborative regional way. "They get the certainty of knowing they are there, they were elected for five years in May, they will be elected for another five years in five years' time, but behind the front door, systematic, mandatory regional working on shared services is the way of the future." 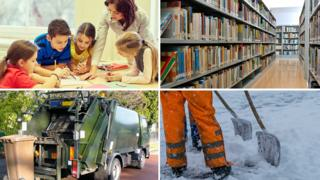 The Welsh Government dropped merger plans to cut 22 councils to eight or nine last year. In addition, the consultation starting on Tuesday also asks whether prisoners should be able to vote. However, the Welsh Government is unclear whether it will have the powers to introduce such a measure. It will also look at whether councils should be allowed to decide their own voting system, which has been opposed by the Electoral Reform Society for potentially creating too much confusion. Welsh Local Government Association (WLGA) leader Debbie Wilcox said councils already "have a track record of leadership and delivery on regional collaboration", such as the city deals in Wales. "We are yet to see the full detail of the cabinet secretary's final proposals but there was broad endorsement of his initial white paper earlier this year," she said. "Councils are moving towards more collaborative and regionalised services already but the WLGA has argued that any reform proposals must be underpinned by clear local accountability and that statutory duties and funding should continue to be routed through local authorities." She added the WLGA was "keen to work with the Welsh Government" on electoral reform.